Do you know what systems your competitors are using? Sometimes it can be hard to know what the competition is up to, but we can tell you without a doubt that over half of the Australian small businesses surveyed in the SmartCompany SME Directions Survey were already using cloud-based software. Let's have a look at 10 of the competitive advantages you should be looking to leverage for your business. There are a lot of benefits which are specific to cloud computing solutions, which we discuss in greater detail in our article “What Is Cloud ERP Software? And What Are the Benefits?”. But for now, read on as we delve deeper into how cloud technology can help give your business a clear competitive advantage. 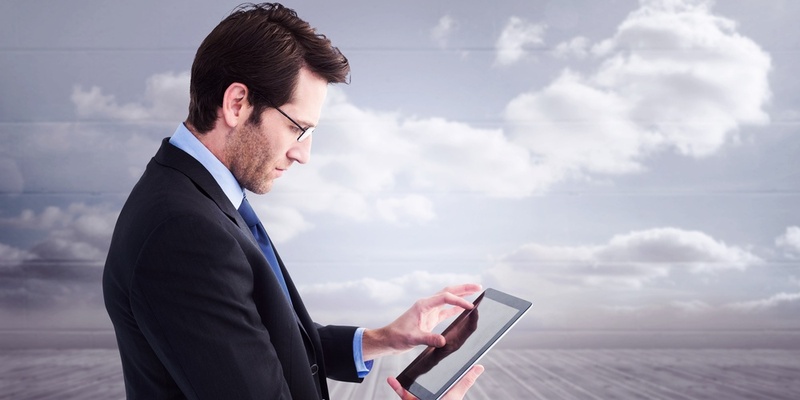 The SmartCompany SME Directions Survey found that 52% of businesses surveyed are now using cloud based software. And within two years, it’s expected that more than three quarters of Australian businesses will be using cloud technology. Out of the 48% who aren’t using cloud computing technology, almost a quarter of those said they intend to transition to a cloud accounting or ERP platform within the next year, and a further 22% said they’ll do so within the next two years. Of those already using cloud software, the majority indicated they intend to increase their use cloud based software. The survey found that 63% of businesses are already planning to use cloud software more over the next 12 months. This trend is backed up further by another report from Gartner Group, which surveyed businesses across the U.S., U.K., Germany, France, China, India, South Korea, Brazil, Mexico and Australia. The Gartner report, Survey Analysis: Buyers Reveal Cloud Application Adoption Plans Through 2017, reveals that business are now using cloud technology for “mission critical” operations. That is to say, the cloud is no longer just for pilot or one off projects, but businesses are running their core operations via the cloud. It’s worth noting that many small businesses don’t realise how much of their business is already done in the cloud. If you check your bank balance online, you’re using cloud technology. Posting to Facebook: cloud. Using Dropbox, OneDrive or Google services: that’s all cloud computing. And it’s all made a very real, and positive, impact to the way we do business already. 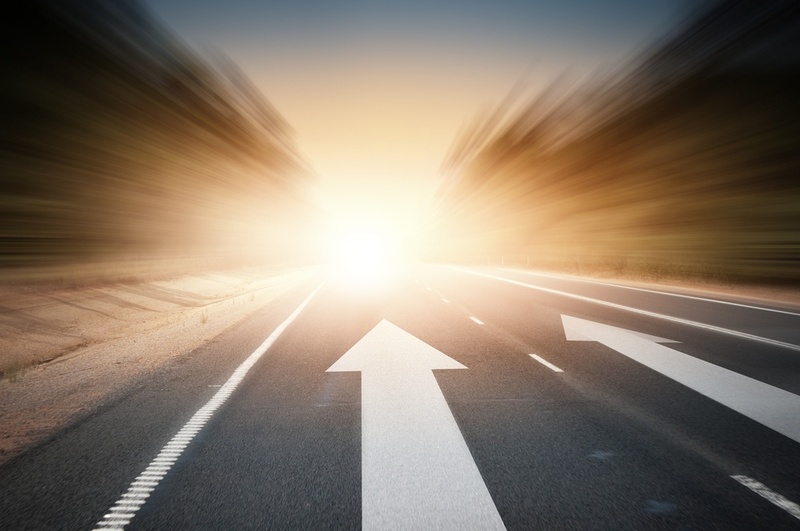 Real-time access to data is the number one benefit of cloud technology for small and growing businesses, according to the SmartCompany SME Directions Survey. By having your team operate in the cloud, everyone with authorised access sees the same source of truth – the same up-to-the-minute information that automatically provides data synchronisation across the business. There’s no need to email reports around, make changes on local copies, then email back, in hopes that someone’s updating a master copy… somewhere. And if you’re out of the office, there’s no reliance on others to send through updates, or wait for employees to email you through their reports. You can log in and see data, reports and analysis straight away, or even schedule updates to be sent to you based on a schedule or on particular criteria being met. You’ll also be able to get real-time KPI information (snapshots of your business health, sales and inventory performance), making it easier than ever digest the information at your fingertips. KPI dashboards can be a really powerful business tool - one that we talk more about in our blog 10 Steps to Effective Dashboards. Many who are first looking into cloud technology for their business perceive it as having drawbacks when it comes to security. But in reality, there are significant advantages of cloud computing, over on-premise systems. On-premise systems rely on servers being kept at the physical location. This can sometimes be a little less secure than many business owners first realise. If you’re using these types of systems now, have a think about whether your servers are accessible by office and cleaning staff or locked up. Are they in a cool, air conditioned location to keep temperatures down and increase the longevity of your hardware? And is your data being backed up to off-site disaster recovery centres in case something should go wrong at your location? In addition, when a business stores all their files in one physical location, employees often have to email files to each other, sometimes when they’re out of the physical building. This includes employees who work from home, contractors and suppliers such as accountants. Businesses can end up emailing sensitive financial and business data without password protection, or even carry it around on USB devices without any form of password protection. And finally, there’s the issue of having sensitive data stored physically on laptops. If your data is on your C drive and your laptop is stolen, the sensitive data can be stolen with it. 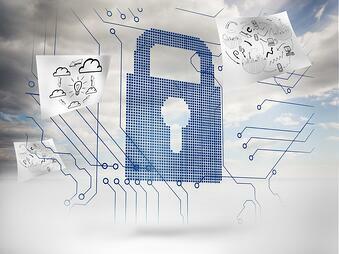 Cloud based software removes these security flaws completely. In the cloud, your vendor keeps your data in high security server sites, with inbuilt backup and redundancy. People can only access data with approved sign-in, and then only access certain levels of data, as assigned to their roles. A good cloud ERP software solution will provide strong, 128-bit encryption, robust password policies and allow for IP address restriction if needed, along with role-level access restrictions and idle disconnection policies, to make sure your data stays secured, even if your employees leave their physical computers open. Few small businesses can afford effective disaster recovery systems for their servers that contain all their vital business data. Cloud based software, including Software as a Service (SaaS), can eliminate the need for disaster recover all together. NetSuite, who are the #1 global cloud ERP, have a readily available data recovery fact sheet, which gives some good detail on what a cloud ERP vendor does on your behalf, to keep your data always backed up and secure. With cloud computing, you and your employees can work from anywhere. You don’t need to be on a particular computer. You can access your files and data while with a client, while travelling or while at home. Imagine how much time it could save if your employees no longer had to send a request to your Accounts department for an invoice copy. Or if your Sales Reps out visiting clients could log in securely and provide real-time stock and product details, order history and back order lead time? A good cloud software vendor will take care of maintenance and updates for you at no cost –it’s generally included in your subscription fees. And you’ll always have the latest version of your software and the latest security upgrades, as they’re delivered seamlessly via regular updates. On-premise solutions are usually priced as a perpetual license with an upfront fee and annual maintenance charges. You pay for a certain number of users, as well as support for those users. Updates also need to be planned for and ideally tested in a development environment prior to rolling out to your live system. This all requires additional technical resources, someone to oversee the upgrade project and, of course, time and effort to successfully roll out. When you purchase cloud software or SaaS, however, you pay by subscription: usually as a yearly or monthly amount, per user. This helps dramatically reduce up-front costs to investing in your choice of software. This subscription pricing can give small businesses a reasonable entry point to access enterprise class technology. You can compete with the big fish, by using the same ERP technology. Yet you’re only paying for your smaller number of users. On-premise ERP solutions have traditionally needed a good deal of planning, allocating employee resources to work on the project, set up and maintenance of physical equipment to run your ERP, and a number of other factors. This all contributes to the total time needed from purchasing your solution to actually getting running with it. Cloud software solutions can be much quicker to implement and get running if your vendor offers the right rapid implementation methodologies. SaaS implementations can be set up in as little as 60 days, given the right resource focus and investment from both the vendor and the customer. When files and data are kept in the cloud, everyone has access to the same information – there’s “one version of truth”. The benefits of this real-time data are obvious, but there are also clear benefits when looking at file sharing. With traditional file sharing, if you want to collaborate with people on a report or listing of information, you need to email it around. Individuals save it to their drives, make their changes, and email it back. You end up with multiple documents and someone has to combine them all manually and hope that all the information has come together accurately. With a cloud ERP solution, all comments and changes are made on one central database of information. Your reports always reflect information taken from the one source. This effortlessly streamlines your collaboration and unifies your information. When everyone has access to the same information, something profound happens: systems become unified, and processes become streamlined. You can then start to roll out standard processes across your organisation. Employees in different geographic locations are using the same system, with the same source of information, and are naturally able to follow the same processes. A client focused process can start in Sales, for example, flow to Operations and Fulfilment, and then to Finance. And you, as manager, can trace that process, and therefore trace the customer journey via your cloud software. This new streamlined simplicity frees up time and energy for everyone to focus on new ideas and growth opportunities for your business. Vendors of good cloud software continually adapt and improve their product based on the best practices and feedback of the thousands of businesses who use their product. When you use cloud computing, you can easily adopt and leverage the successful ideas and strategies other businesses have already discovered. Many cloud software systems include knowledge base information built not only from standard system processes, but also from user feedback and questions. A good knowledge base can become your community of information and ideas for further improvements. Australian trends indicate that most small businesses are already using, or planning to use, cloud computing technology. 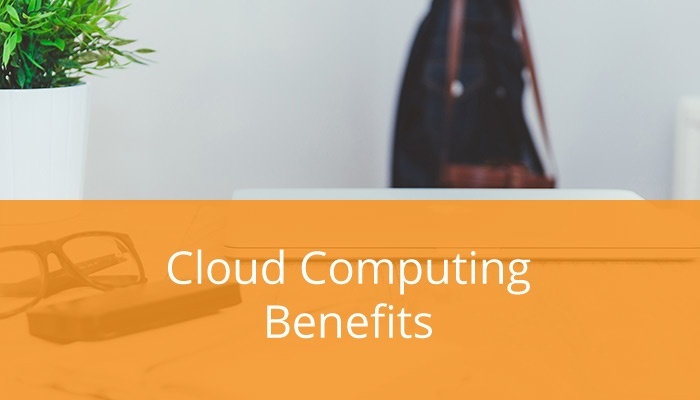 They’ll have access to the numerous benefits and competitive advantages of cloud computing that we’ve outlined above. Cloud software, such as cloud based ERP solutions, can help you stay competitive, be running efficiently and securely, adapt quickly and keep growing with continued strength. Get in touch to find out more on what cloud technology can do for your business or read more on the how an ERP system can help your business. If you're looking for the best place to start with some ERP research, be sure to get your free ERP buyer's guide with all the information on what questions to ask vendors, a comparison between on-premise and cloud-based solutions, and much more critical information to consider.